Tania Coen-Uzzielli is a curator and Head of Curatorial Services at the Israel Museum, Jerusalem. Photo: Eli Poszner. 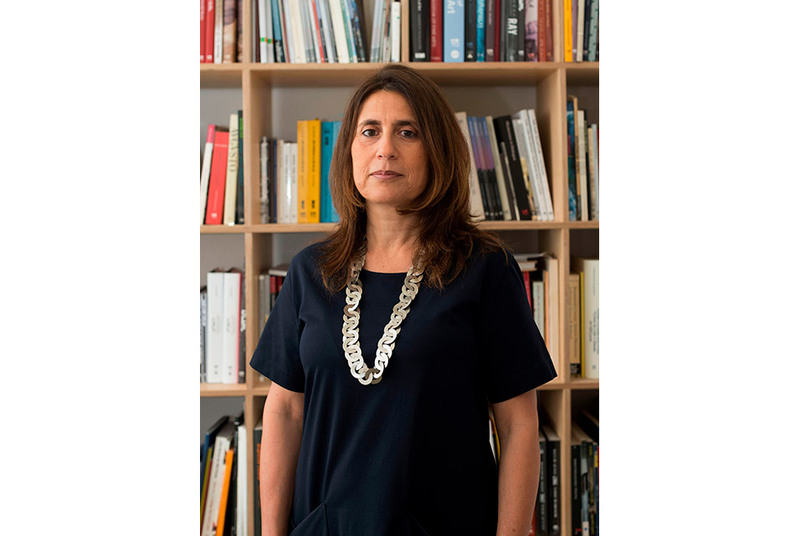 TEL AVIV.- Tel Aviv Museum of Art's Search Committee recommended the appointment of Tania Coen-Uzzielli as TAMA Director after the retirement of Suzanne Landau. TAMA's Board of Directors approved the appointment on Thursday, 21 June 2018. The Search Committee included Irith Rappaport, Doron Sebbag and Yaron Klein and was headed by Adv. Haim Samet. Tania Coen-Uzzielli is a curator and Head of Curatorial Services at the Israel Museum, Jerusalem. She holds a BA and MA in Art History and Archaeology from the Hebrew University, Jerusalem. Since she began working at the Israel Museum in 2000, she has served as Associate Curator in the Department of Jewish Art and Ethnography. In this role, she curated several exhibitions on Jewish art and participated in exhibitions and interdisciplinary projects. She was curator-in-charge of the Suriname project, in which the Portuguese Synagogue of Suriname was reconstructed and installed in Jerusalem. In addition, during the renovation of the Israel Museum, she headed the renovation project of the Jewish Art and Life Wing and curator of the Synagogue Route exhibition, one of the highlights of the renovated galleries of the Israel Museum inaugurated in 2010. In 2015 she curated the exhibition "Brief History of Humankind" which later travelled to the Bonn Bundeskunsthalle and in 2018 she was co-curator of the Israeli Pavilion at the 16th International Venice Biennale for Architecture. Since 2011, Coen-Uzzielli served as Head of Curatorial Affairs and Services at the Israel Museum, and was in charge of the annual exhibition program and coordinating the collection. In this role she was in charge of all the wing's departments: exhibition, project and publication budgets, conservation laboratories, travelling exhibitions, photography and copyright, publications, exhibition design, technical services, multimedia, registrar office, shipping and digitalization of the collection. TAMA's Board of Directors welcomed the choice and expressed confidence in Coen-Uzzielli's ability to bring the Museum further to new achievements. Suzanne Landau, who retires at the end of 2018, has been an outstanding and influential figure in the field of art in the past three decades, and was in charge of the most important contemporary international exhibitions in Israel. Landau has been TAMA's Director and Chief Curator since 2012, after 34 years at the Israel Museum, where she was, among other roles, Curator of Contemporary Arts and Chief Curator of Fine Arts. Upon entering her role at TAMA, Landau made dramatic changes in the Museum's internal organizational structure and devised a vision with a clear emphasis on contemporary and modern art, both Israeli and international. She established the Voting for Art acquisition group, changed the Museum's logo and visual language and renewed the Sculpture Garden and the permanent collection galleries. Landau initiated a thorough comprehensive renovation process for the Main Building which is underway now, and includes a renovation and structural change of the façade, the lobby and the low-level galleries. She has also founded a volunteer body and began a renovation process of the Museum's storage spaces and the design of a new website. Landau curated at TAMA comprehensive exhibitions that were well received in Israel and abroad, among them the 2017 Louise Bourgeois exhibition. She turned the Lightfall of the Herta and Paul Amir Building into a space for site-specific commissioned exhibitions. Landau established cooperation with leading museums worldwide for joint exhibitions, such as those by Michaël Borremans, Elmgreen & Dragset and Fiona Tan, and posited TAMA at a central place among leading museums of modern and contemporary art. In 2017, Landau implemented her declaration on taking her role at TAMA to divide the role of chief curator and director; Doron Rabina was appointed Chief Curator, while Landau continued as Director. Tel AvivYafo Mayor Ron Huldai, chairman of TAMA's Board of Directors, welcomed the appointment: "I congratulate Tania Coen-Uzzielli on her appointment as TAMA's Director and hope her longstanding experience will assist her in directing this complex and challenging institution. I thank Suzanne Landau for advancing and leading the Museum over the past years." Adv. Haim Samet said: "We are all delighted with the excellent choice and look forward with Tania to new and exciting horizons in the future of TAMA, one of the cultural pillars of Tel Aviv. It is with a sense of sadness that we part with Suzanne Landau, as well as with much gratitude and appreciation for her work in bringing forward the Museum and raising its profile with its modern, Israeli and contemporary activities." Suzanne Landau said she was "very happy and welcome the successful choice. I wish Tania Coen-Uzzielli luck and believe she will forward TAMA on to new and exciting destinations." Tania Coen-Uzzielli: "I am thrilled to be joining one of Israel's major cultural institutions that has left its mark on Israeli culture throughout the years. I approach this appointment with a sense of mission and am convinced that together with TAMA's professional and skilled team we will be able to lead the Museum to further significant achievements in the local and international arenas, and establish its role as a center of art and culture. I am grateful to the Board members for trusting me and enter the role with great respect for the immense work done by my predecessors."